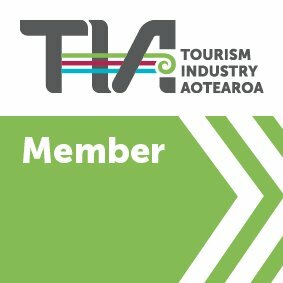 Our Auckland branch is handily located just a short stroll from the arrivals terminal at Auckland International Airport and incorporates a fully-equipped bike shop, shower facilities and luggage storage, as well as friendly, knowledgeable staff and a huge selection of top-quality bike rentals and accessories. Whether it’s exploring the city, heading off on an extended cycle tour or hitting up Auckland’s MTB trails and parks, we’ve got the right bike for your ride. We stock leading-brand touring bikes, hybrids, mountain bikes and road bikes, as well as a full range of cycling accessories and children’s bikes. All Natural High hire bikes are fully-serviced before they hit the road and come with a lock, multi tool, tyre levers, spare tube and repair kit. We can also supply you with helmet hire (additional charge) or purchase. 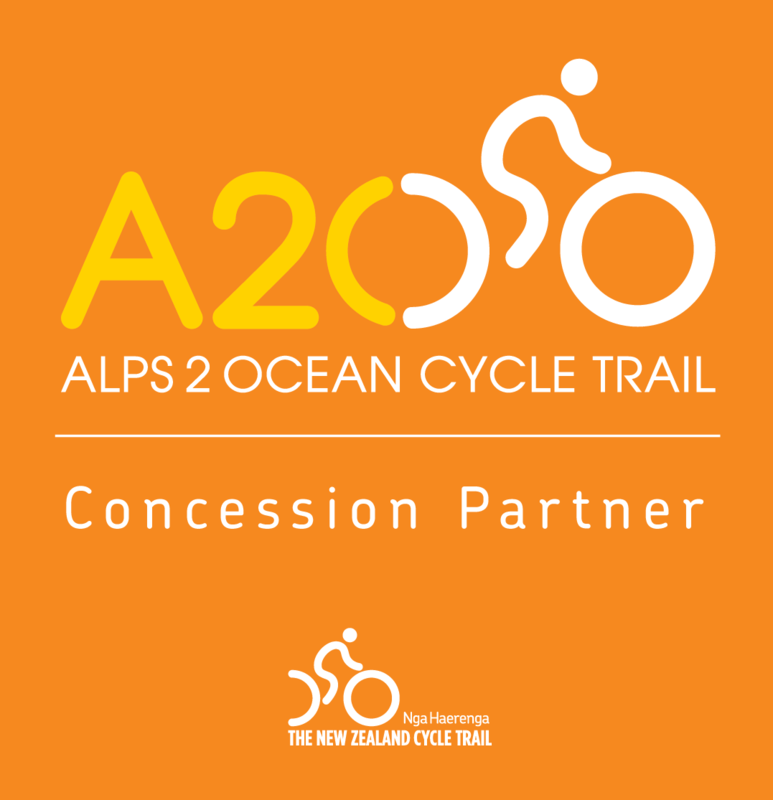 If you’re flying into Auckland from overseas, we can have your bike ready and waiting for you. Freshen up with a shower (towel hire available), transfer your gear into panniers and you’re ready to hit the road. There’s no better way to beat jetlag and stretch flight-weary muscles! Bringing your own bike into the country? We can unpack, build and service it in our fully-equipped bike workshop, store your bike box or case while you explore, and disassemble and pack your bike for your return journey. We can even supply cardboard bike boxes and packaging if needed. Our Auckland bike shop is stocked with a wide range of biking essentials, from tires and tubes, tools and spare parts to clothing and accessories. And if there’s anything out-of-the ordinary you’ll need on arrival, let us know, and we can have it waiting for you. 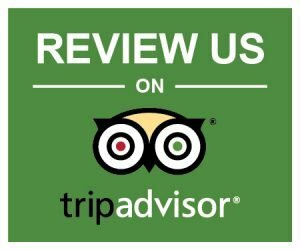 If you’re heading off on a long tour and have more gear than you can squeeze into your panniers we can securely store your excess luggage at our depots, or arrange to have it forwarded to your final destination. Due to the custom nature of this service, please contact us for more information and pricing. We’re stoked to have a MTB park just around the corner from our Auckland branch. 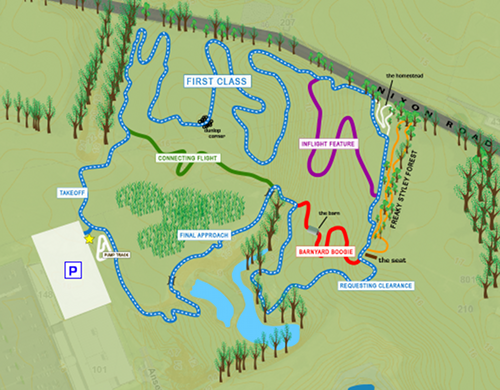 Plan of The Runway MTB Park. Located within The District at Auckland Airport, the Runway Mountain Bike Park features a network of different tracks suitable for all ability levels, from beginners and children to intermediate riders. There’s also a fun, 50m Pump Track: a circuit of dirt rollers and berms that can be ridden without pedalling. Best of all, it’s completely free to ride! The District also features food outlets, shops and an outdoor art gallery, making it a great place for a fun-filled family day out. Need a bike for the park? We can hook you up! Just pop into our branch on Uenuku Way and pick up a bike, or give us a ring on 09 257 4673 with your requirements and we’ll have everything ready and waiting for you. You’ll find our current opening hours at the bottom of the page. Natural High Auckland, 10 Uenuku Way, Off Tom Pearce Drive, Auckland International Airport, Auckland. 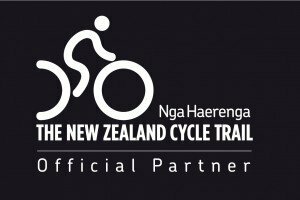 Like to learn more about cycling in New Zealand? 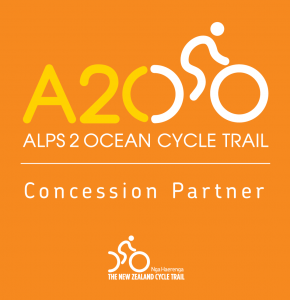 Hop onto our mailing list and we’ll fill you in on the very best biking New Zealand has to offer, along with things to see, do (and eat) along the way. Sign up right here and you’ll start receiving one email every week.